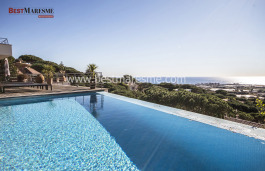 Detached house located for sale in the town of Cabrils, 840 m2 surface built area on three floors, spacious rooms, bright and wonderful sea views. 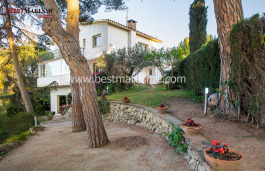 It has a basement with garage and different dependencies multi-use, cellar, toilet rooms, shower and dressing room. The first floor has a hall entrance that leads to a huge and bright living room with fireplace, on this floor is also the kitchen, pantry, laundry room, guest room plus a bathroom. From the living room we reach a large charming porch having fantastic views to the garden and pool area. Stunning and beautiful relaxing sea views. On the second floor is located the night area with eight spacious and comfortable bedrooms, one of them suite. All of them are exterior and there are also five bathrooms. 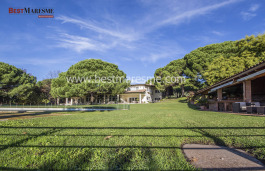 It has a beautiful pool and a spacious and intimate shaded area, it also has a handball court, a barbecue area and a large garden that surrounds the house with secret and cute corners. The orientation of the facade to the road is North, but the main facade is oriented towards the best views which faces South. 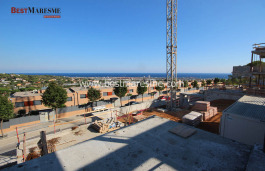 The land is staggered according to the topography and currently according to records has a 4,348.00 m2 surface. The façade built using a mixed form material, with coatings and masonry or wood lintels. 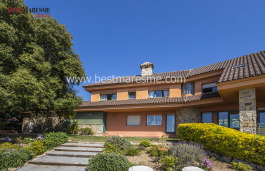 The construction and finishings of this house for sale in Cabrils are of the highest quality . Solid doors and windows. Construction in good conditions. The residential area where it is located is very exclusive, one can breathe and feel real peace and tranquility. Only 3 min. 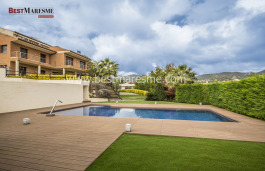 Away from different amenities, as well as to the center of the village of Cabrils, schools, entertainment facilities, public transport and only 12 min. 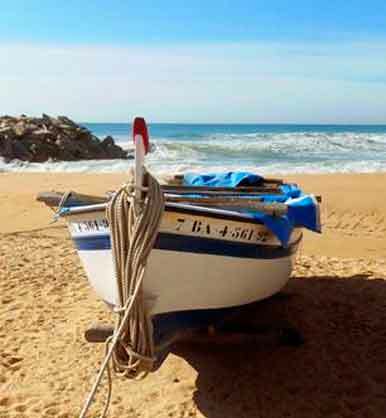 away from the beach and 30 minutes away from Barcelona. A great opportunity thanks to the large dimension, in addition to housing it can be used for any type of business, restaurant, hotel or nursing home. Merci de nous faire confiance! Le luxe d´avoir une piscine intérieure. Fantastique maison avec une vue imprenable sur la mer et une grande intimité. Vitesse Maisons de luxe, villas, villas ou appartements: nous sommes prêts à offrir une solution rapide. 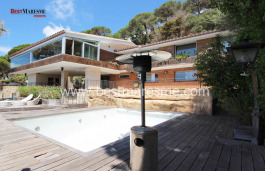 Meilleure équipe Une équipe multilingue de professionnels avec une haute spécialisation dans les maisons de luxe sur la côte de Barcelone. Dévouement Nous travaillons chaque jour pour offrir des solutions immobilières à vos demandes. 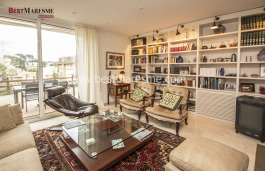 Prix Appartements de luxe, maisons exclusives et terrains au meilleur prix du marché. 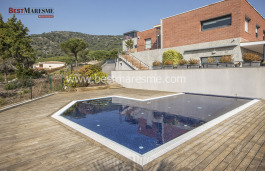 BestMaresme est una agence immobilière spécialisée dans les maisons de luxe sur la côte de Barcelone. 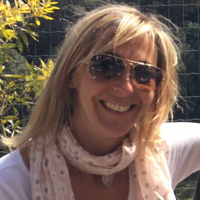 Notre équipe multilingue sert des clients nationaux et internationaux dans la région de Maresme.